IP cameras have their own security needs. Find out more about them here. Back in the old days, security cameras operated on a closed circuit. The biggest threats to their operations were being stolen or one of them going offline. However, many retailers and other businesses no longer use closed circuit security systems. 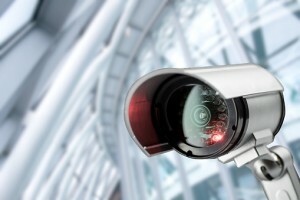 IP-based cameras have become the norm and ensuring their security requires a different approach. Are you ready to learn more about how you can keep your camera network safe? Let’s take a look at modern surveillance! Modern surveillance cameras are on a network. A network is a network, no matter what it is connecting. To ensure that your camera system is secured, you can take a page out of an IT professional’s book. To secure a network, you need a variety of software and know how such as a fire wall and a method of authentication. Never leave the network on its default login settings. This leaves your surveillance network completely vulnerable to attack. Have your employees create individual password credentials for their login. Then, make sure that different levels of personnel have different levels of access according to their role and according to their needs. You should also pay attention to any patches or updates that come out and ensure that they are implemented as soon as possible. Setting up automatic updates, if available, is wise. The price of letting your surveillance security fall to the wayside is dire. Modern IP-based cameras offer a lot more than simple video. They offer the ability to count the number of people in your store, how long they look at certain items, and how they move through the store. Basically, modern surveillance offers data. Without proper security, this data can be stolen. Suddenly, hackers can know everything you know about your customers. They can exploit that data and use it to their own nefarious ends. Rather than imagine the awful possibilities that can unfold, secure your surveillance network now and rest easy. Security Systems for Remote Facilities From ARK Systems, Inc. Located in Columbia, Maryland, ARK Systems is dedicated to providing unsurpassed quality and excellence in the security industry, from system design all the way through to installation. We handle all aspects of security with local and remote locations. With over 30 years in the industry, ARK Systems is an experienced security contractor. Trust ARK. This entry was posted on Thursday, June 23rd, 2016 at 9:02 pm. Both comments and pings are currently closed.